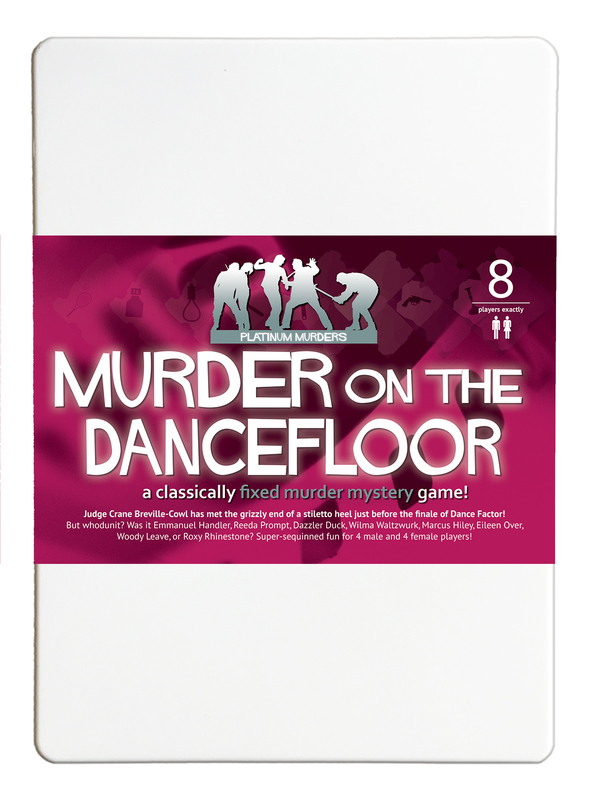 Murder on the Dancefloor - �.99 delivered. New audio version! It抯 the eve of the final of Dance Factor and the competition is tighter than the male dancers� leotards. Crane Breville Cowl decides to host a pre-final bash to relieve everyone抯 tension and invites the finalists and his colleagues to come along, but all he gets for his troubles is a stiletto heel in the head. Host your own party to find out who stepped on Crane抯 parade! Stories and characters previously published as the boxed game of the same name. Visit the Murder Mystery Party website to view character bios, costume suggestions and invite your guests! Want it now? Click here for the original download version.